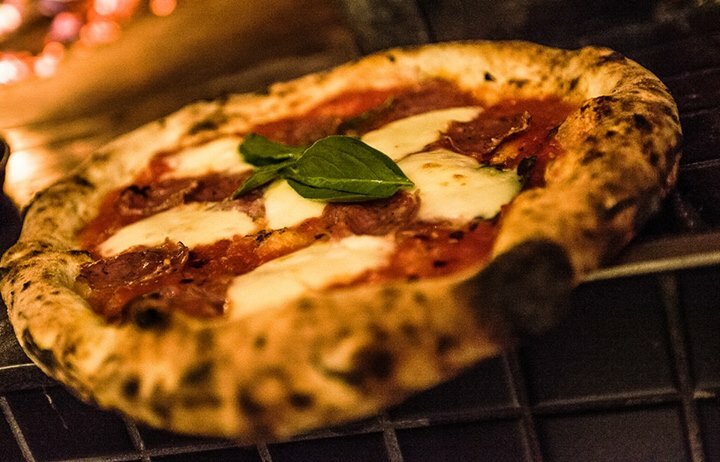 With a large Italian population and countless wood burning pizza ovens, choosing the best pizzerias in Montreal is no small feat. 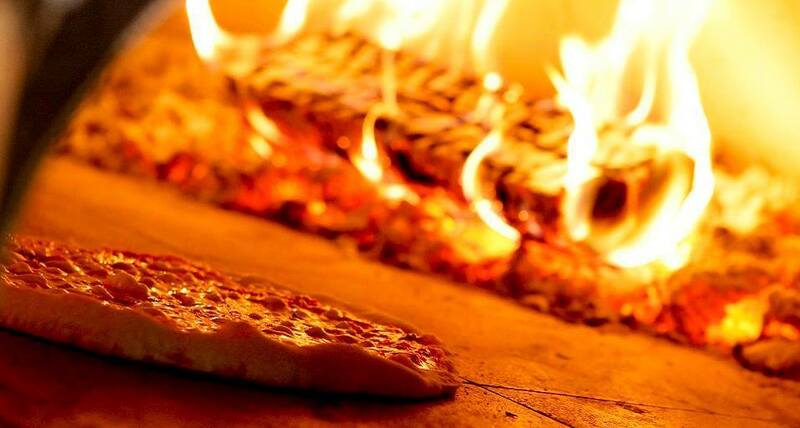 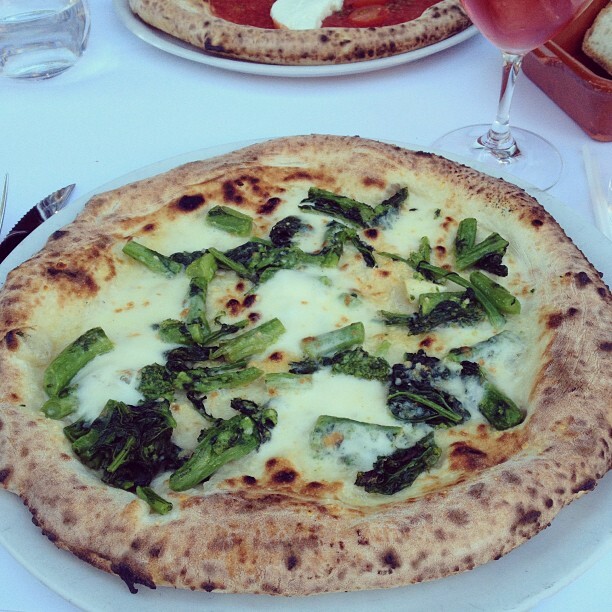 There are so many aspects to the perfect pizza that a true pizza aficionado must evaluate, such as the crust, the freshness of the ingredients, a pizzeria’s variety, the acidity of the San Marzano tomato sauce, and the potency of the cheese, to name a few. 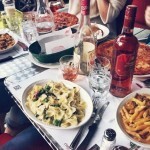 The Divas took this challenge very seriously and in no particular order we chose our top 5 places in the city. 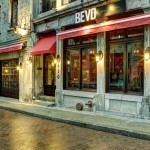 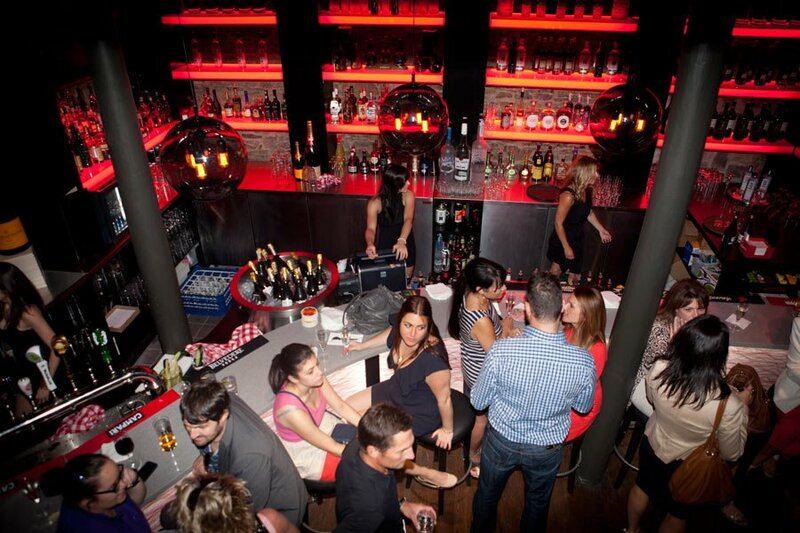 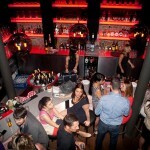 Bevo Bar + Pizzeria is located in Old Montreal and provides a traditional Italian pizzeria in a modern ambiance with a full bar and great nightlife. 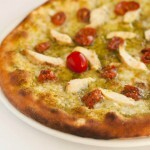 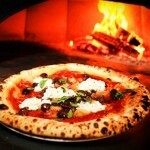 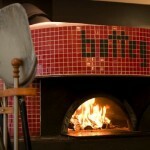 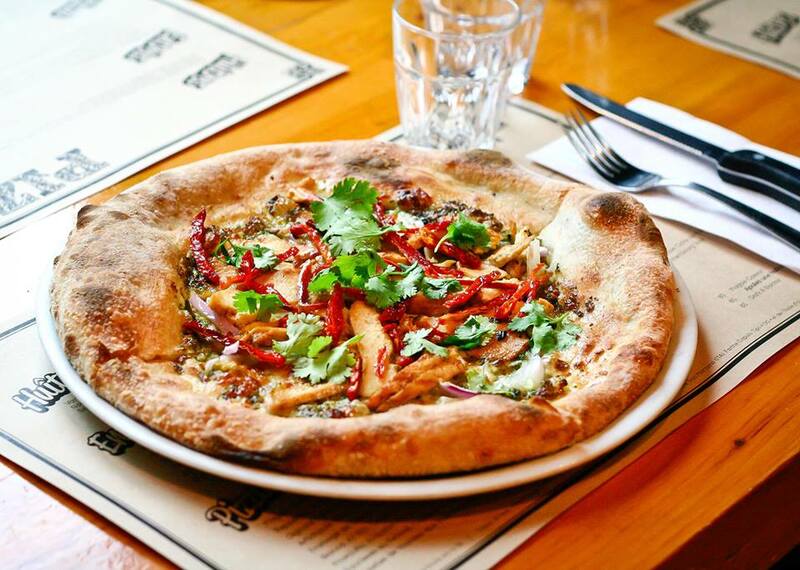 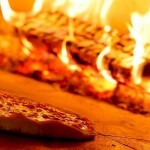 Their pizzas can get zany, our favourite being the Bosco in Bianco with mixed mushrooms and sliced truffles. 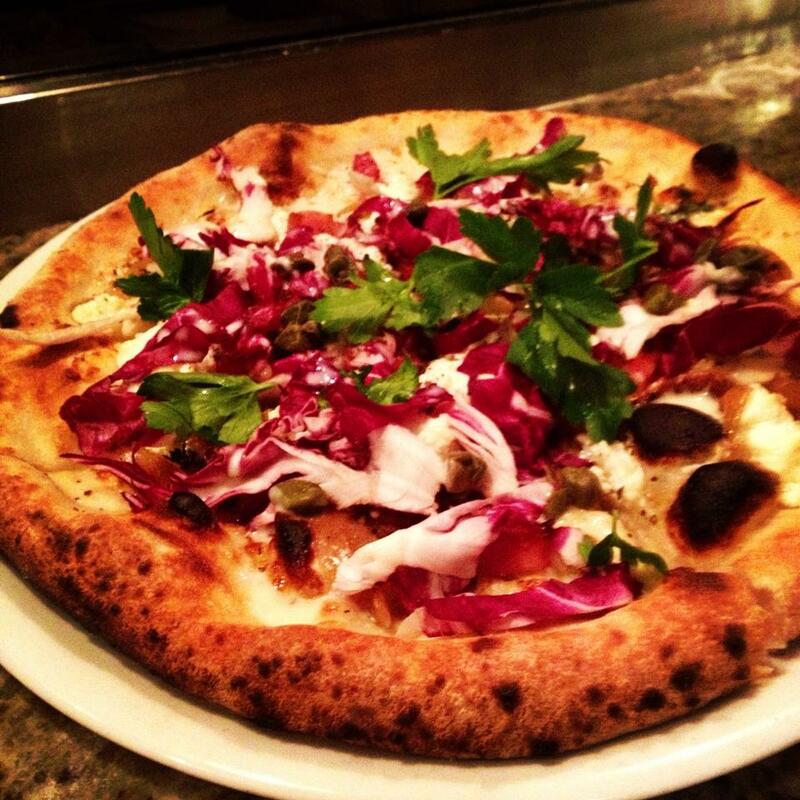 Add some pancetta and their creamy burrata to make yourself a really serious pizza. 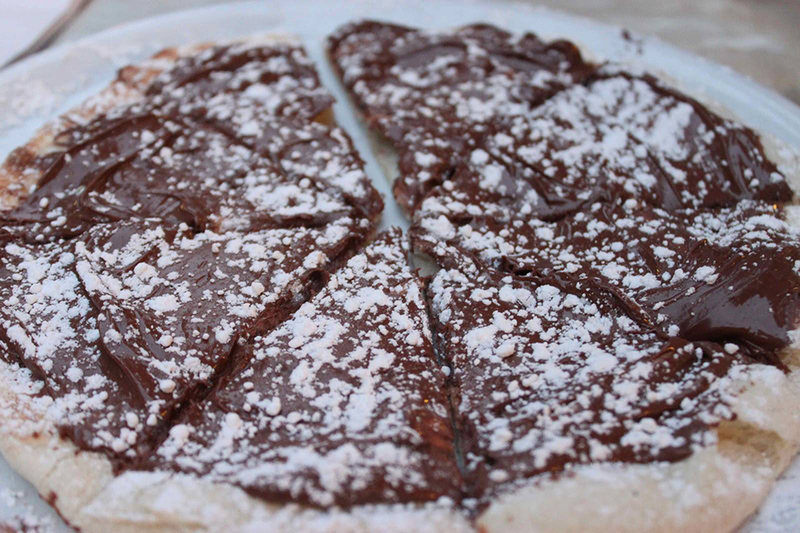 To complete your experience at Bevo Bar + Pizzeria, start your meal with their arancini and end your night with their nutella pizza, but don’t leave too early or you will miss out on their fabulous after party at their bar, which is open until the wee hours of the morning. 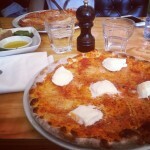 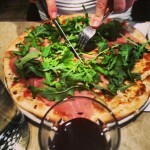 Pizzeria Magpie in the Plateau is the Divas’ dirty little secret; we go more often than we would like to admit. 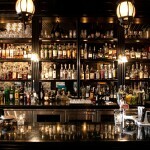 Try their divine Magpie Margarita. 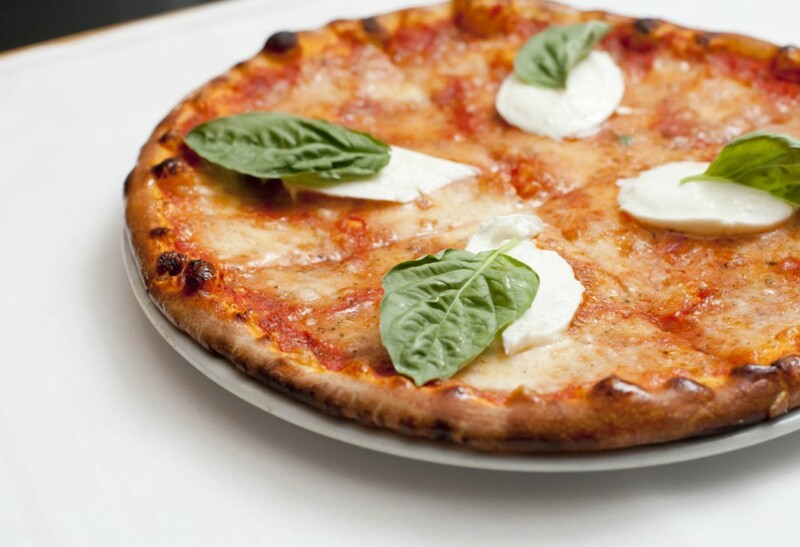 This is the simplest pizza made with perfect San Marzano tomato sauce, basil, and the most aromatic bocconcini that will make you salivate as it hits the table. Add some extra bocconcini: we always do! 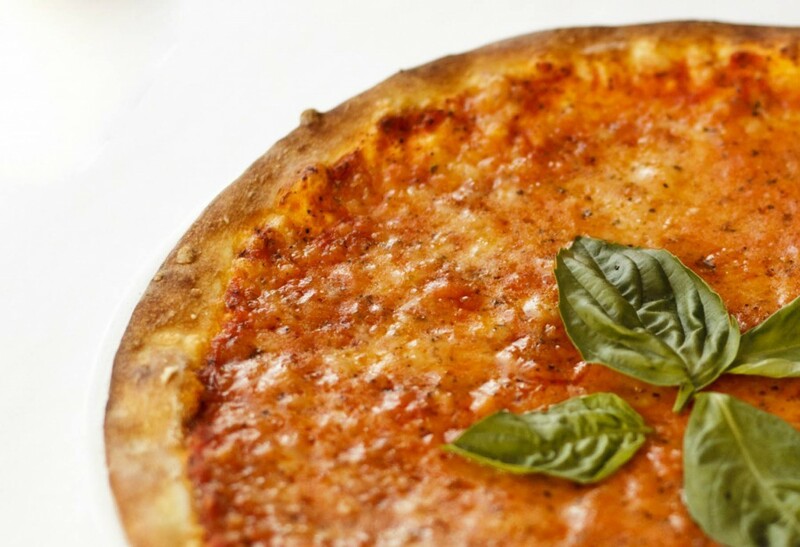 The crust is thin and every aspect of this unassuming pizza is perfection. 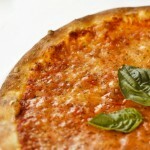 Ask for some EVOO and dip your crust in the oil. 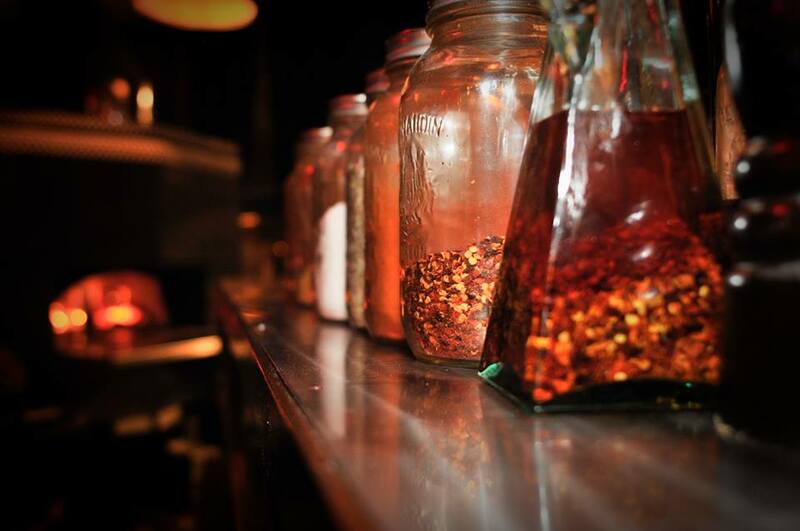 If you want to really enhance your dinner, start with a dozen of their varied oysters. 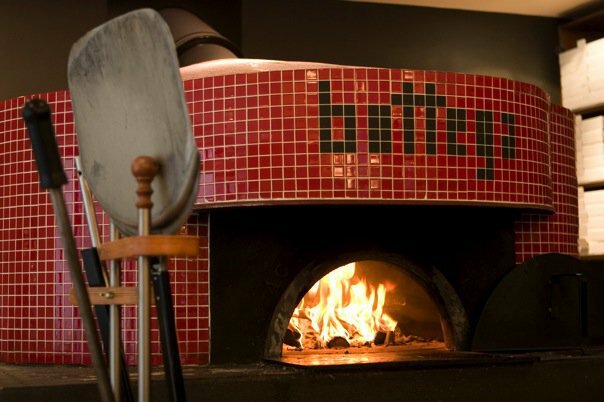 Anyone who has been to Bottega in Little Italy will picture their famous large red tiled wood burning oven at one end of the restaurant. 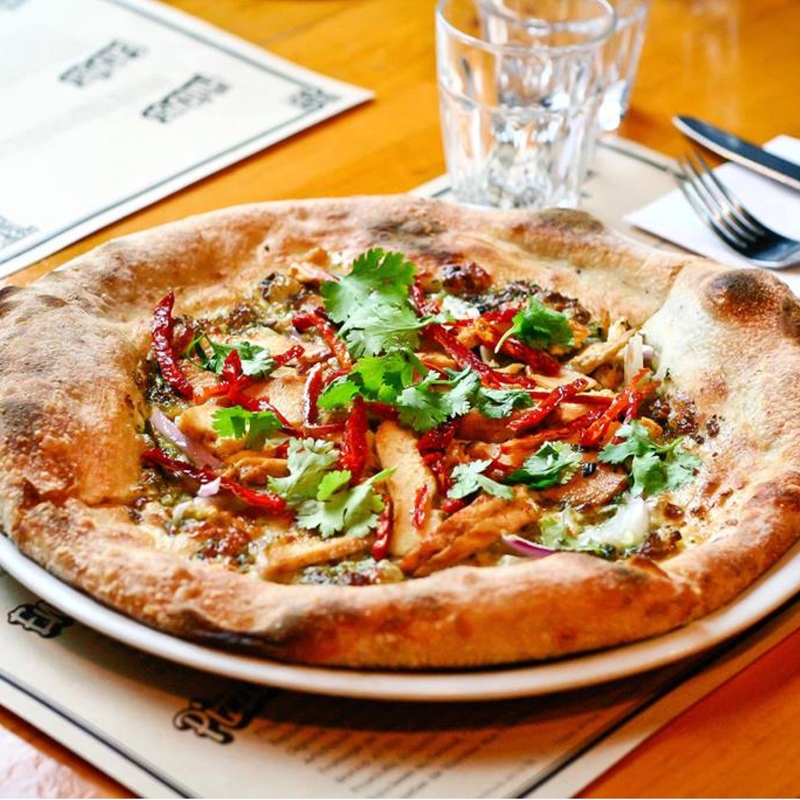 Their Capricciosa pizza with San Marzano tomatoes, mozzarella, prosciutto, artichokes, olives, and oyster mushrooms is lovely when it comes perfectly cooked out of their oven. 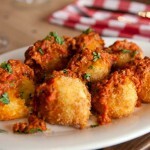 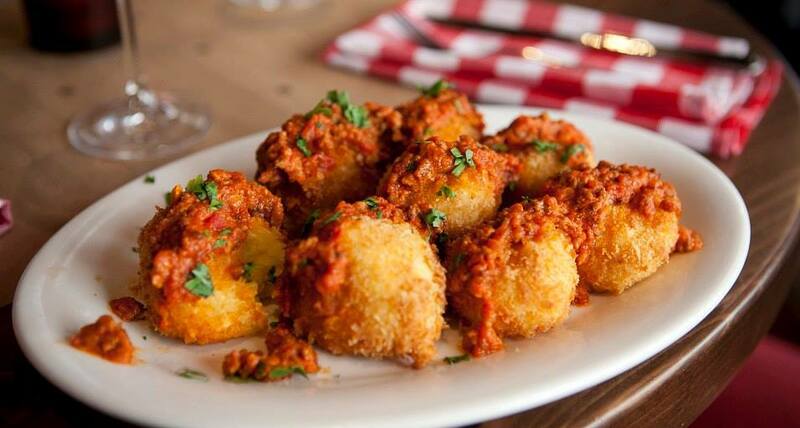 Their bacio de la Bottega, which are mini balls of dough stuffed with prosciutto cotto, mushrooms, mozzarella, and ricotta, are raved about throughout the city. 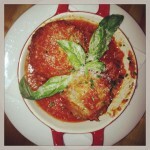 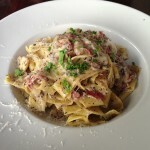 Their pasta dishes are also delicious, especially their specials of the night. 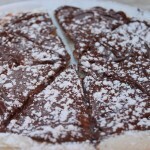 They also have a Nutella Pizza that is wonderful. 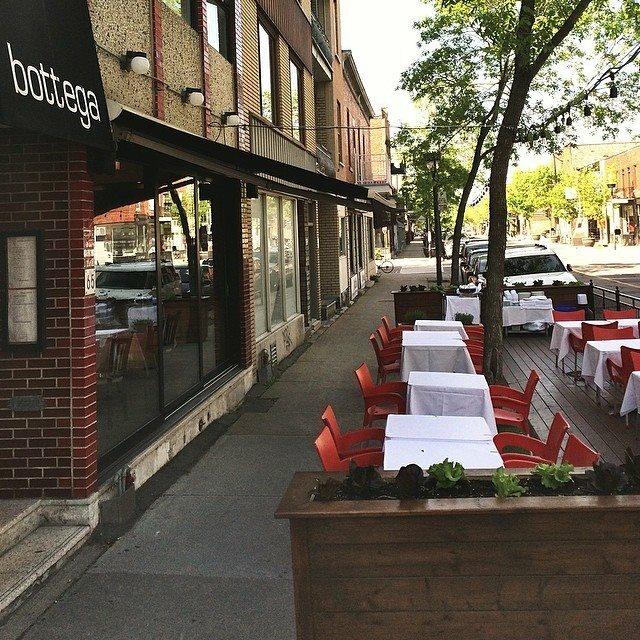 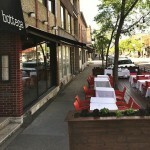 Bottega has a second location in Laval (but Laval will never be Montreal). 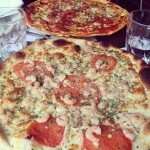 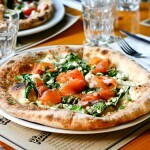 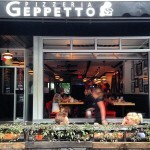 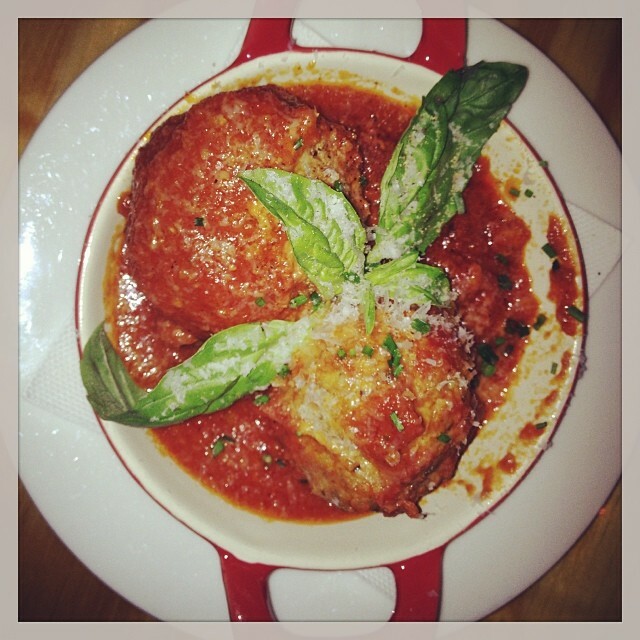 Pizzeria Geppetto in Griffintown is a hidden gem in the newly developed Sud-Ouest portion of the Notre-Dame strip. 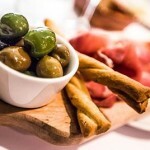 Fun appetizers include snails, prepared differently each day, and varied bruschetta and crostini. 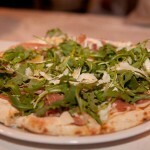 Their Mazzarina pizza is fresh with basil, cherry tomatoes, prosciutto, arugula, and ricotta dulce. 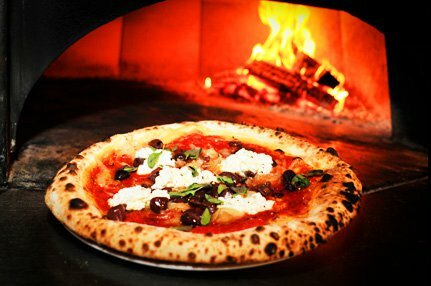 Their Rustique pizza with tomato sauce, artichokes, black olives, roasted peppers, Italian sausage, garlic, and cacciocavalo cheese is another popular pick. 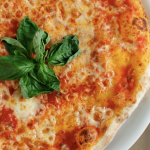 As you can see, Pizzeria Geppetto doesn’t only opt for the traditional mozzarella cheese; they think outside the box and their pizzas have cheeses like fontina, spicy provolone, cacciocavalo, and ricotta dulce. 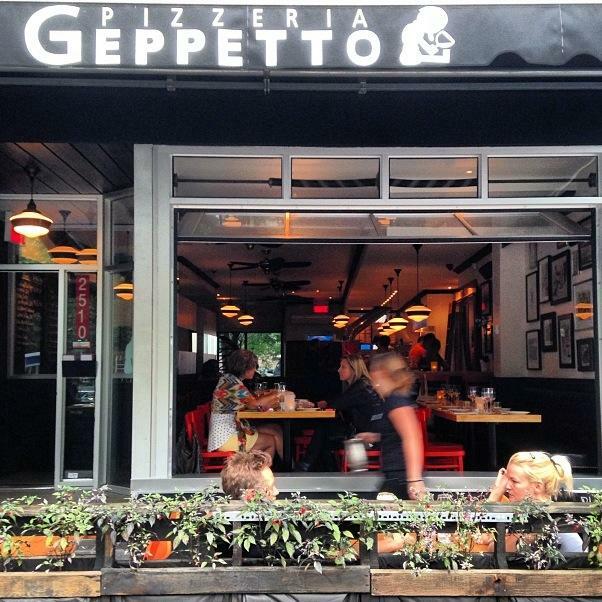 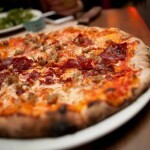 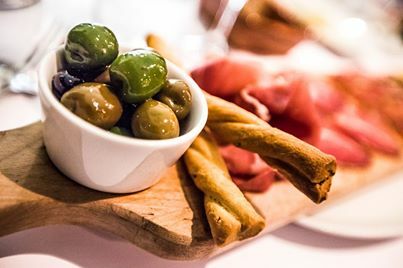 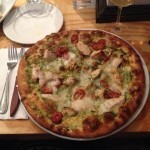 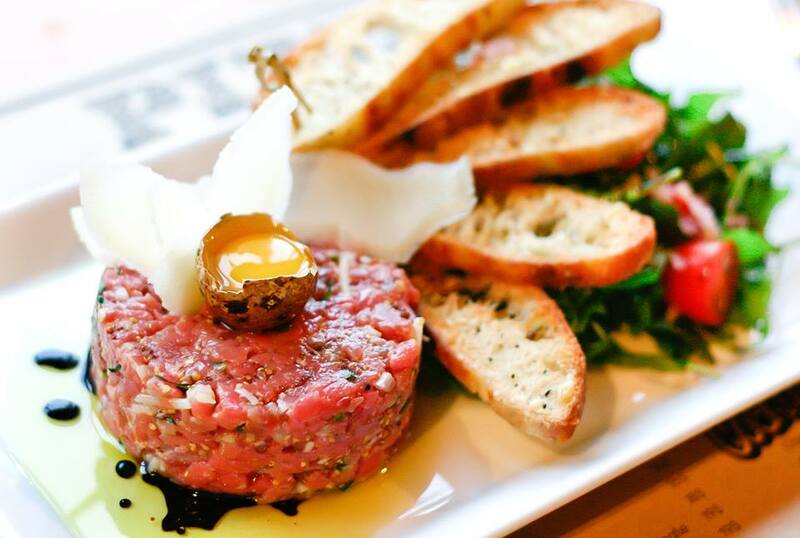 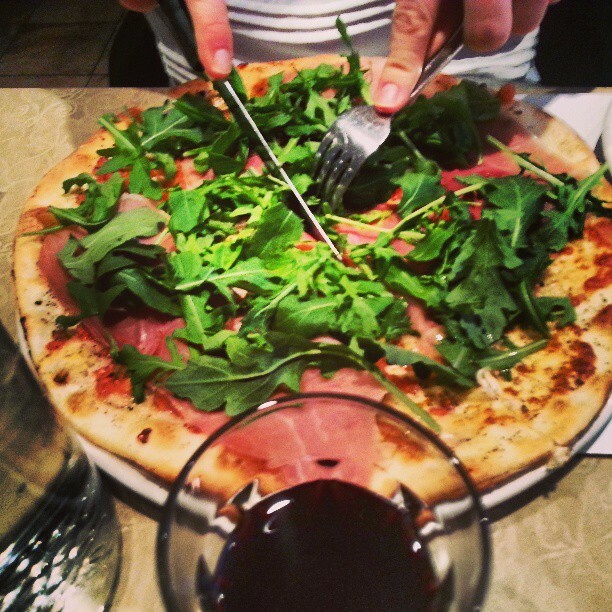 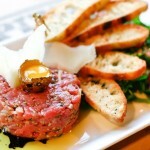 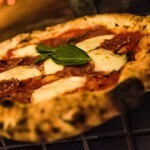 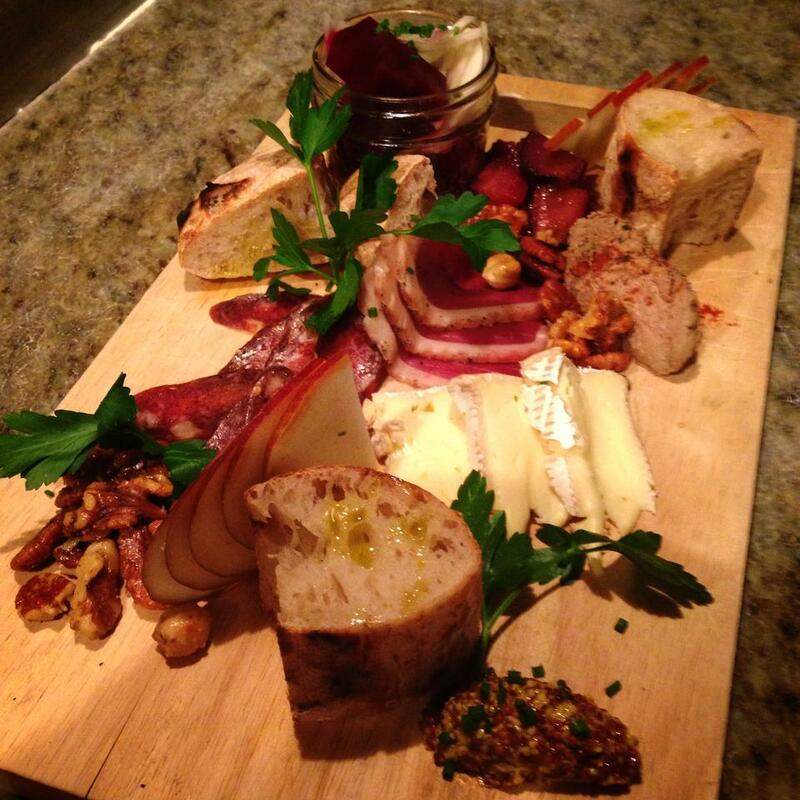 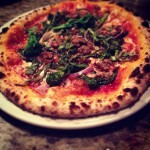 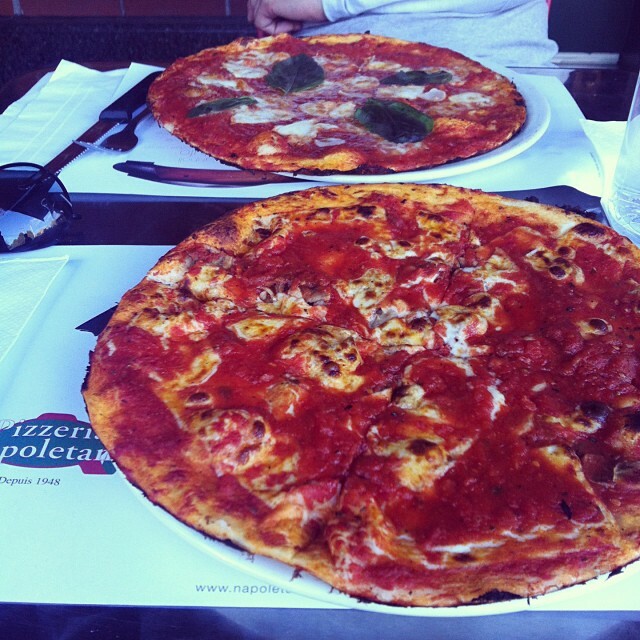 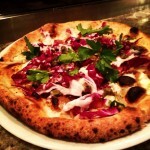 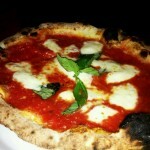 Pizzeria Geppetto is also a wine bar and is open late to satisfy your cravings. 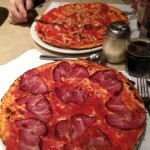 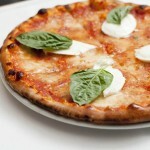 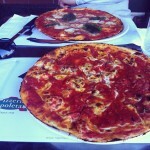 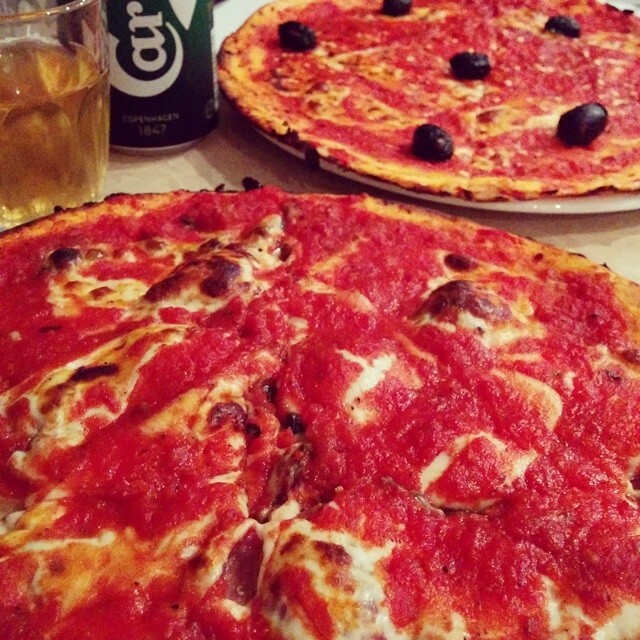 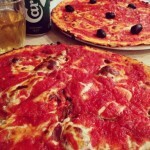 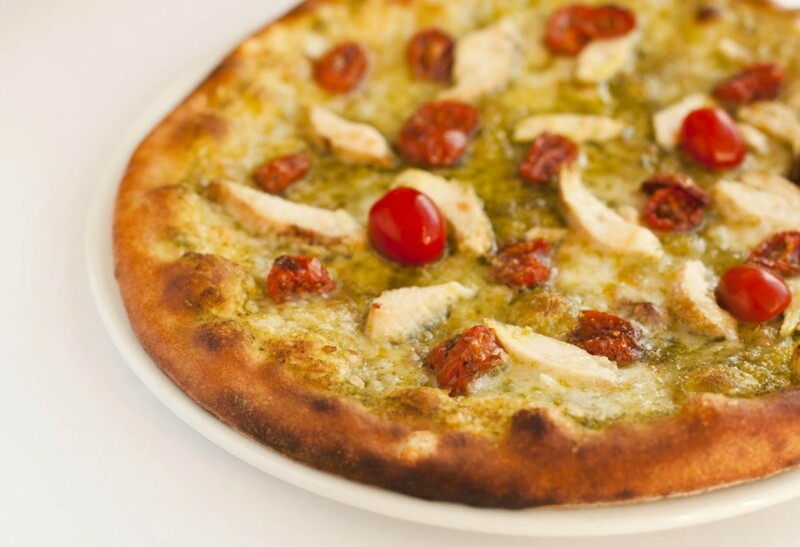 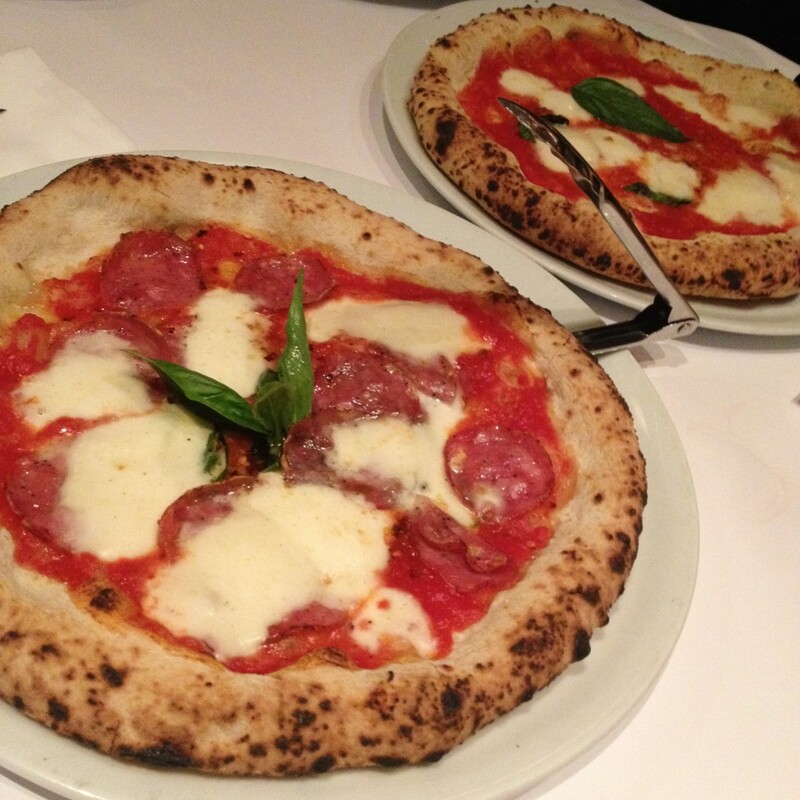 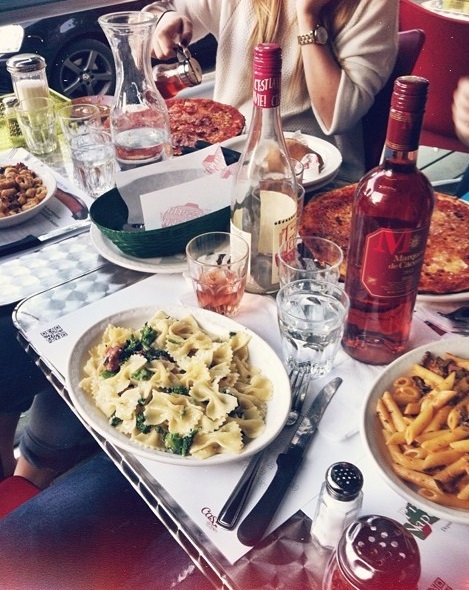 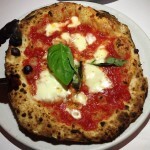 Open since 1948, Pizzeria Napoletana is the go-to place for pizza in Montreal. 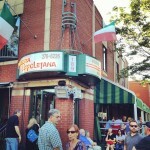 Their long line up with people waiting to get in during the warmer Montreal months is part of Little Italy’s magic. 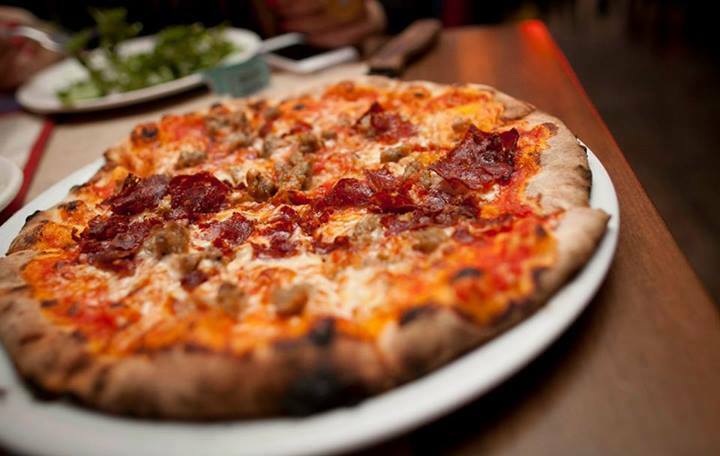 With 40+ pizzas on their menu, it may be difficult to choose just one. 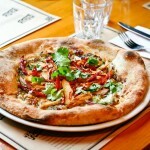 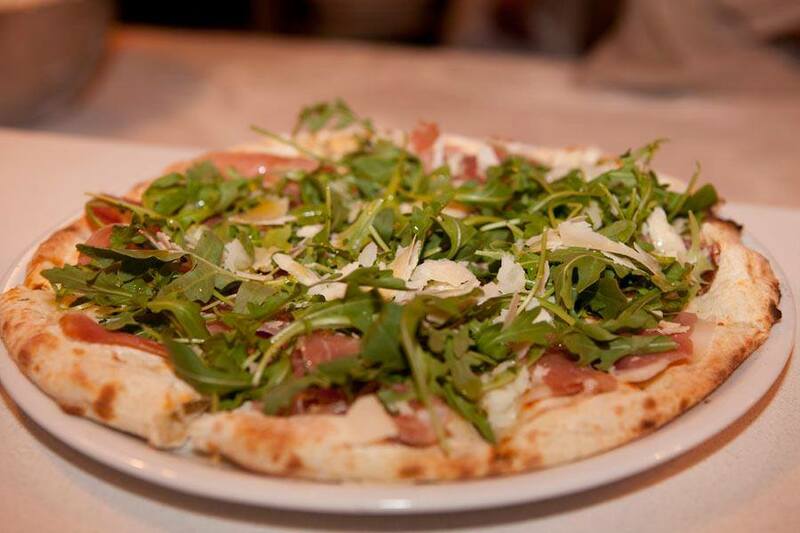 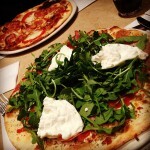 Our favourite is The Porcini, with mozzarella, porcini, arugula, and extra virgin olive oil drizzled on top. 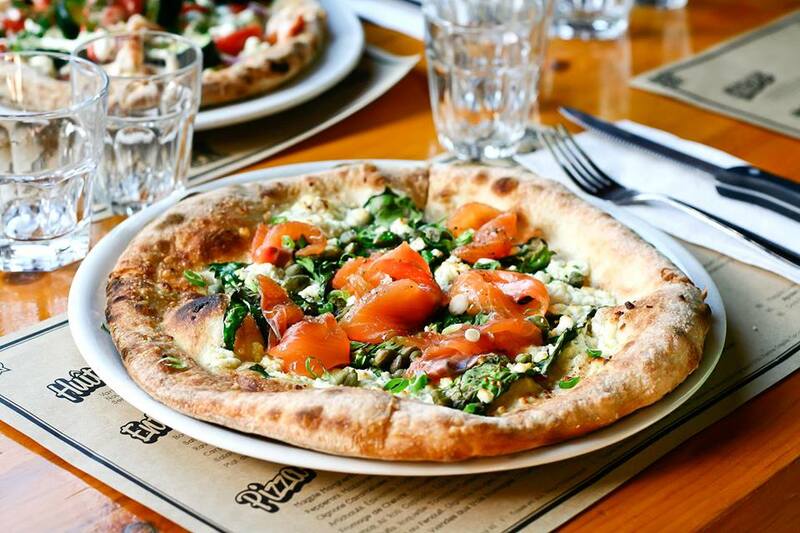 Known for their thin Neapolitan-style pizza and tangy tomato sauce, Pizzeria Napoletana is Montreal’s most popular pizzeria. 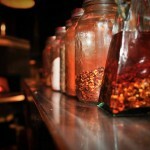 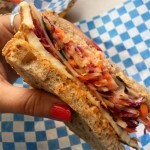 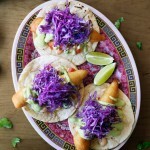 They were even featured on The Food Network’s You Gotta Eat Here! 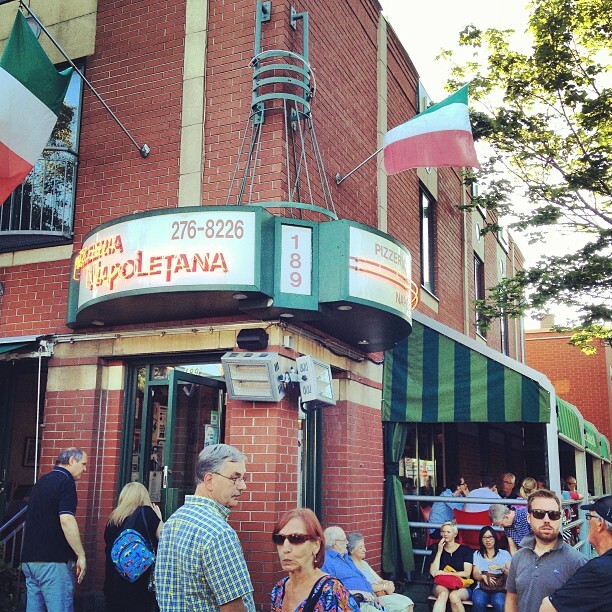 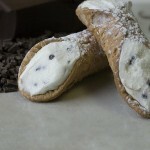 Pizzeria Napoletana doesn’t only make pizza; they also have a wide variety of incredible pastas as well as delicious desserts such as cannolis and tartufo. 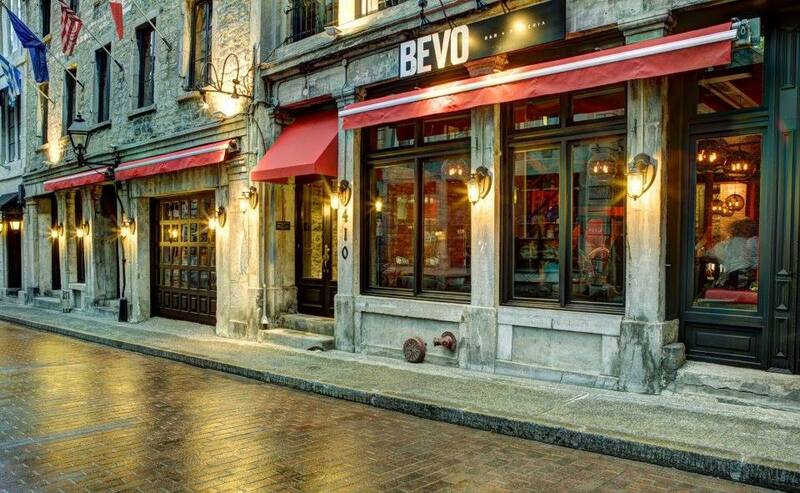 With over 60 years in Montreal, they must be doing something right!